Interested in using live video for business? Have you considered creating a live video show? 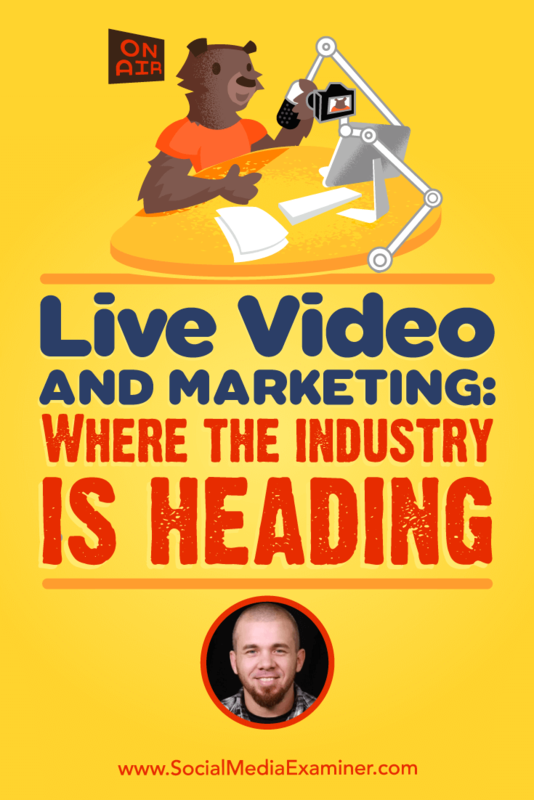 To find out what live video can do for your business, I interview Brian Fanzo. In this episode, I interview Brian Fanzo, a tech evangelist who specializes in live video. He’s the founder of iSocialFanz and host of the FOMOFanz podcast. 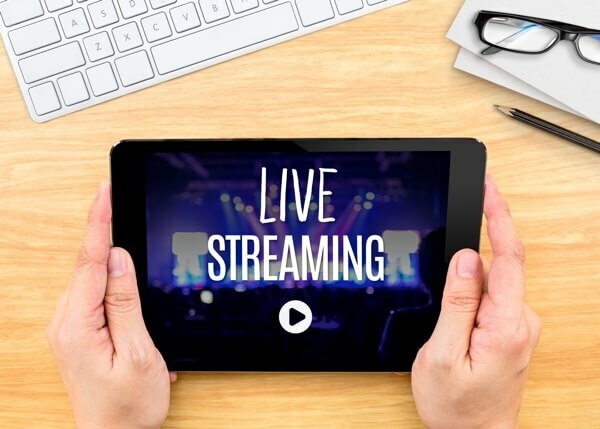 Brian explores live video, where it’s headed, and how it can help your business. You’ll discover whether to use Facebook Live or Periscope if you’re just getting started. 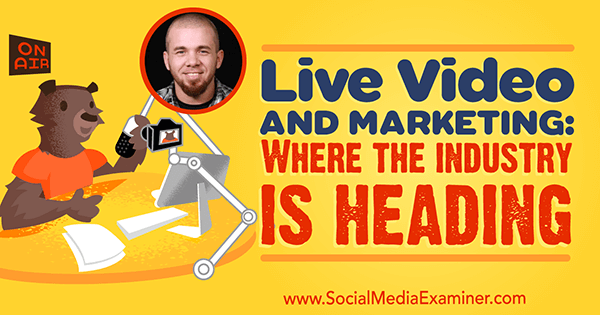 Live Video and Marketing: Where the Industry Is Heading featuring insights from Brian Fanzo on the Social Media Marketing Podcast. Whether yours is a small business, a brick-and-mortar store, or an ecommerce company, you need to shrink the distance between yourself and your customer, Brian explains. Live video is much more than a marketing play because it shrinks that distance by humanizing your brand and business. Live video is also the gateway to technologies such as augmented reality (AR) and virtual reality (VR), which Brian believes will be huge by 2020. To embrace AR and VR, he says, companies and brands will need to have a live video strategy already in place. He says today’s consumers want you to convince them that you can be trusted, that you’re a resource, are invested in them, and can understand them. They don’t want to be marketed or sold to; they want to engage and have a conversation with you. Businesses need to spend time building rapport, a relationship, and trust with their audience, and live video is a great vehicle for that. 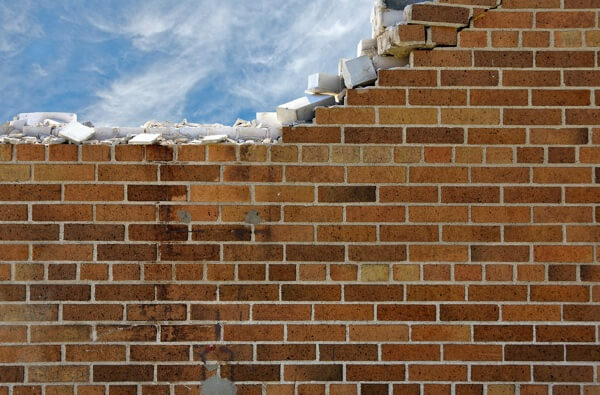 Break down the wall between business and consumer with live video. Listen to the show to hear more about the strategy behind using live video to break down barriers with your audience. Brian says that according to Cisco, 79% of Internet traffic in 2020 will be video. Nowhere did anyone say that’s going to be great video, good video, or live video, Brian continues. However, he believes most brands are thinking about video. Many people think live video is scary because they picture themselves on the video. Brian has to remind them that the best live videos are often made when you’re celebrating customers and employees. And if your live video brings people access they can’t get anywhere else, the camera doesn’t even need to be on you. For example, say you use live video to interview a client, a customer, or a celebrity while they’re in the office. As the person behind the camera, you can watch the comments for questions and decide which are important enough to ask the guest. With these kinds of live videos, all of the scary elements of being on air are taken away. Listen to the show to discover my process for doing live videos. Brian says Cisco has done an amazing job with their We Are Cisco campaign. Employees in different offices are trusted to take over the company’s social media accounts, including Snapchat and Instagram, to share their point of view. Not only does the campaign celebrate Cisco’s employees, it’s also a great recruiting tool. The company doesn’t have to convince job applicants that they trust their employees; the proof is visible every time they let their employees go live on social media. We Are Cisco is an amazing movement as a whole, Brian adds, and they integrated live video nicely across the board. Another great example is Al Roker’s Roker Media. They’re launching multiple programs on Facebook Live, scheduled at a certain day and time, like you would traditionally see on TV. And because the shows are on Facebook Live, people can subscribe on Facebook. Brian recalls that in the past, a small- or medium-sized business had to rent a studio to do promotional videos. Now anyone can do videos, ad hoc. To take it a step further, businesses can create fun programming around different things related their brand or passion. Brian says Dunkin’ Donuts is one of his favorites at this. They use live video to give tours of different locations and take fans behind the scenes when they’re training new employees. 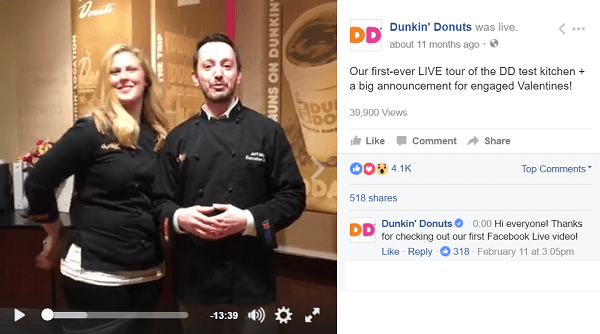 Dunkin’ Donuts takes fans behind the scenes via Facebook Live. Although live video gives fans access to places, people, products, and experiences they can’t get anywhere else, Brian doesn’t think it replaces other content marketing. He believes live video amplifies other content. The food and fitness spaces might be the most exciting arenas for really pushing this forward, Brian adds. Food Network is even taking things a step further by going onto Twitch, a gaming live-streaming platform focused on raw engagement and giving viewers just as much access as the people in the room. Listen to the show to hear more about Twitch and who else is using the platform. Brian breaks down live video into two different types of content and two different strategies: real-time live video and strategic live video. Real time isn’t live streaming every day on everything that’s going on, he explains. It’s more of a pop-up show that breaks into the news feed to let you share an experience as it happens. Real-time live video can be used strategically at events or to share breaking news. However, the businesses and brands that really benefit are those that train their employees how to use the live video platforms. For example, when the Pope visited the White House, a White House social media manager took out her phone and shot a Facebook Live video of Pope Francis walking down the steps off the plane. The cameras from news outlets were 500 yards from the airplane and didn’t have the same quality access. When discussing strategic live video, Brian says the key is consistency. Since there are so many online distractions and notifications, not many people are waiting around for a live video push notification. It’s better if your fans can put your show on their calendar or make a note of the time when you’re broadcasting live. Commit to doing a show at a certain time every week and you’ll build momentum, grow your numbers, drive conversation, and increase replay watches. For example, every Monday at 4 PM, Brian records his podcast live and also does a live video broadcast. Because he’s consistent, his fans know they don’t have to tune in every week, but if they’re around on a Monday at 4 PM, they can tune in. 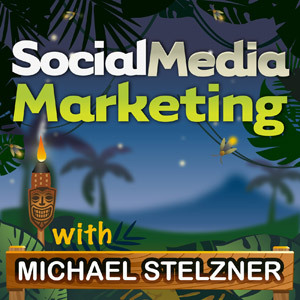 Listen to the show to hear more about our Friday morning Social Media Marketing Talk Show. Brian says Facebook Live and Periscope are the two big players in live video today, especially for social media marketers. Brian says to think about live video like email marketing, where you have to do two things: grow your email list and nurture your existing list. Periscope enables you to grow your list because every time you go live, the broadcast is pushed to Twitter. Facebook Live nurtures your existing list because it notifies people who engage with and like your page when you broadcast. Choose which platform to live-stream on by looking at their differences. There are also differences in the on-platform behaviors of consumers to consider. When someone scrolls the Facebook feed, live video is a small element of what they may be seeking. Because the Periscope app is completely separate from Twitter, people who open the app are specifically looking for live video content. The key is to look at the platforms and decide what success looks like for you, Brian says. Also, don’t be afraid to invest in one and use the other to complement or amplify the work you’re already doing. Listen to the show to hear my thoughts on these platforms. People watching content on Facebook have probably seen well-produced broadcasts from the White House or CNN that use a tricaster to put the TV experience inside the Facebook feed. In similar fashion, Periscope Producer allows you to broadcast through your Periscope account using a third-party tricaster like Wirecast, Open Broadcaster Software (OBS), or Switcher Studio. This allows you to go live onto the platform and integrate things like a better-quality camera, lower thirds, and a slider graphic at the beginning of your broadcast. Periscope Producer enables you to use a tricaster to integrate more professional tools for higher production quality. Another feature added to Periscope is the ability to log in and comment on broadcasts from a computer. Previously, Periscope allowed people to view content from desktop, but didn’t allow comments or shares outside the mobile app. Facebook has always allowed the browser user to comment and engage, and now Periscope allows it. Now, when Brian builds strategies, he builds them for Periscope mobile and desktop, as well as Facebook mobile and desktop. Listen to the show to learn more about Periscope Producer options. Listen to the FOMOFanz podcast. Follow iSocialFanz on Instagram, Twitter, and Periscope. Read about the Cisco Internet traffic stat. Check out We Are Cisco and follow the campaign on Snapchat and Instagram. Take a look at Roker Media and subscribe on Facebook. Check out Dunkin’ Donuts on Facebook and watch a behind-the-scenes video. Learn more about Food Network and Twitch. Check out the video of the Pope getting off of the airplane on the White House Facebook page. Watch live video of the FOMOFanz podcast. Check out CNN on Facebook. Explore Periscope and Periscope Producer. Learn more about Wirecast, OBS, and Switcher Studio. What do you think? What are your thoughts on live video and marketing? Please leave your comments below.